I’m often asked how you can know if mould may be affecting your health. The answer can be complex, but then it’s also simple at the same time. For instance, we are all affected by traffic pollution because we are exposed to it and breathe it in, some people react with instant asthma, some nausea and headaches - whereas some will have no apparent reaction at all. Regardless of the reaction, the exposure is still the same. Just because you might not have immediate reactions, doesn’t mean it isn’t affecting you. There are many reasons for this. Genetics, lifestyle, history of exposure, age, gender and lastly - your ENVIRONMENT. The same applies for MOULD. 1 in 2 homes in Australia are water damaged, meaning there is the potential for active mould growth in 50% of homes. If you think having a new home lets you off the hook then you’re also wrong - where recent research has discovered 40% of new builds in Australia also have a mould problem (due to condensation and lack of ventilation). 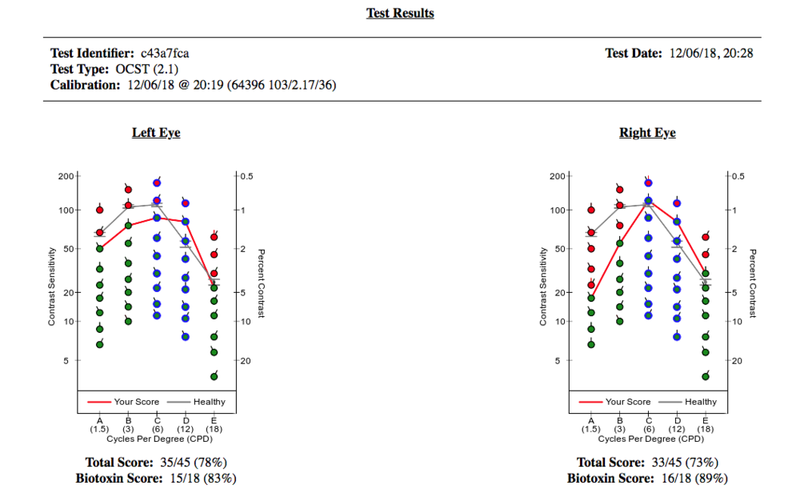 One simple, cheap and very quick way to screen yourself at home for possible biotoxin exposure (like mould) is by logging on to www.vcstest.com, or www.survivngmold.com and performing the VISUAL CONTRAST SENSITIVITY TEST. Your visual contrast sensitivity allows you to distinguish between dark and light and even with 20/20 vision your contrast sensitivity can be affected - which is why pilots are often asked to perform the VCS test. What is interesting is that mould exposure can affect the optic nerve, which results in reduced contrast sensitivity. Although this test is great as a screening tool, it is not used to diagnose mould illness. It’s something I always encourage my clients to do before their home assessments. It’s also great to use to track your improvement, once remediation has finished on your home. If you’re concerned about mould illness or even just curious, check out www.vcstest.com , and follow the instructions. Leat SJ, Yadav NK, & Irving EL, 2009, Development of visual acuity and contrast sensitivity in children, (Online), Available: https://www.sciencedirect.com/science/article/pii/S1888429609700196, (7 December, 2018). Rabin J, 1993, Spatial contrast sensitivity through aviator’s night vision imaging system, (Online), Available: https://apps.dtic.mil/docs/citations/ADA279338, (7 December, 2018). Shoemaker, R, 2018, Surviving Mold - vcs test, (Online), Available: https://www.survivingmold.com/diagnosis/visual-contrast-sensitivity-vcs, (7 December, 2018).